The Cleveland Lead Advocates for Safe Housing (CLASH), a coalition including SPAN-Ohio, Black Lives Matter of Cuyahoga County, the Cuyahoga County ProgressiveCaucus, Organize! 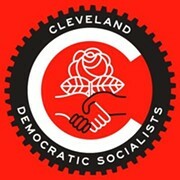 Ohio, and Cleveland Democratic Socialists of America, today announced plans for a ballot initiative to address lingering and dangerous lead problems in Cleveland. Staring down what they perceive as inexcusable inaction by the city of Cleveland and city council, the initiative, the language of which was not released, will follow closely a proposal initiated by former City Councilmember Jeff Johnson. That would be ordinance 990-17, legislation that was crafted with the help of community activists and Legal Aid in 2017 that would have held landlords accountable for certifying their properties were lead-safe. It never received a hearing. Johnson was running for Mayor at the time, and the likely explanation for the stalled momentum was political: Johnson's opponents didn't want him to get credit for an important piece of legislation. Councilman Blaine Griffith last week told Scene that he understood the community's frustration but that legislation was a "work in progress" and numerous efforts outside of legislation are needed to address the complex problem. "I know people are impatient," he said. "And I know they might think there's not a sense of urgency. I won't duck that. But I will tell you that I do have a sense of urgency and [the Health and Human Services Committee] spent most of 2018 on this issue. We're working on it." CLASH has had enough waiting. Lead poisoning is a pervasive problem in Cleveland, and one that disproportionately affects minorities and the poor. Rachel Dissel and Brie Zeltner of the Plain Dealer have thrown a spotlight on the problem in recent years, but little action has been taken. If they gather enough signatures — 5,000 according to the PD — the legislation would be introduced at council, which would then vote on it. If it was rejected, the coalition would then decide whether to get the issue before voters.